Chair Cover Hire Nottingham, Wedding Chair Cover Hire Nottingham, Derby and the East Midlands. 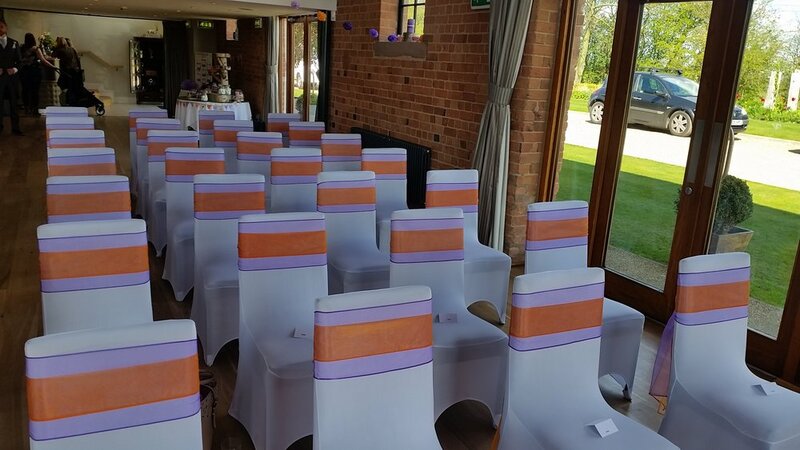 Chair cover hire Nottingham, Derby and the East Midlands. Wedding chair covers and sashes for hire in Nottingham, sashes include: organza sash, lace sash, hessian sash, taffeta sash and satin sash. Dream Weddings and Events specialise in chair cover and sash hire for weddings and events in Nottingham and the East Midlands. We offer luxury chair covers to hire in black, white, and ivory. These are made of Lycra and are designed to fit a large variety of chairs. To complement these we also offer over 100 different choices of sashes, table runners, and swagging in your choice of colour and style. Our sashes include organza, satin, taffeta, lace, hessian, linen, drapes, and hoods. Here at Dream Weddings and Events we pride ourselves offering competitive prices whilst maintaining a high quality and design of all our products. 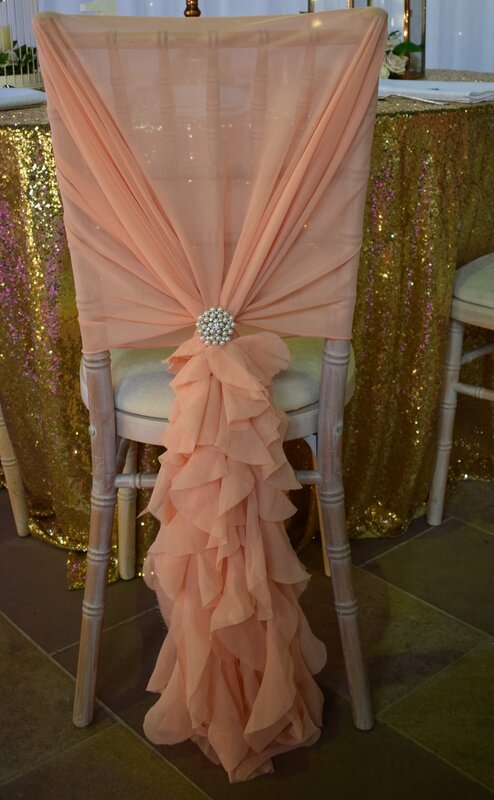 Our chair covers and sashes are professionally laundered to the highest of standards after each use. 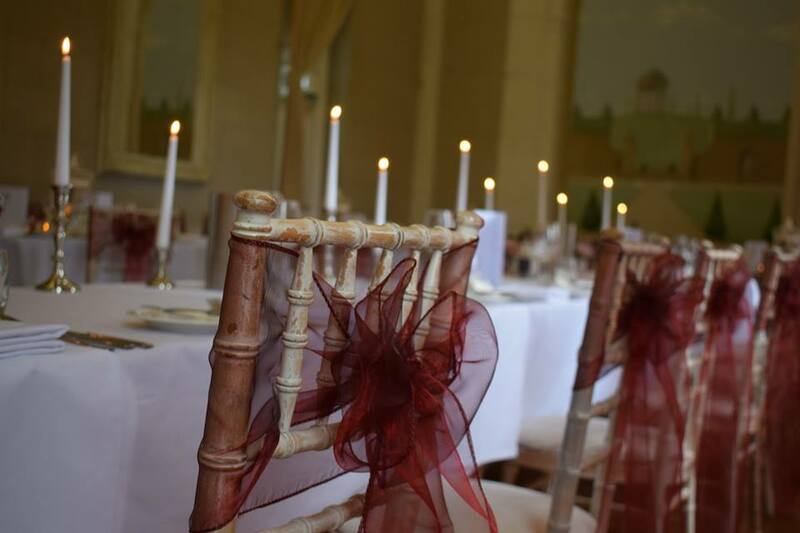 We will attend your venue to dress the chairs for the event and return once the event has finished for collection. We guarantee that your chairs will be dressed to the highest possible standard!